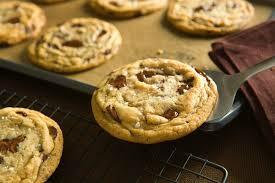 No one can resist a fresh, warm, gooey chocolate chip cookie. When you add CBD it becomes a whole different cookie kind of world, check out this recipe to make your own. Place the softened butter mixed with CBD infused oil/butter, brown sugar, and white sugar in a bowl and cream until smooth. Then, beat in the eggs one at a time before softly stirring in the vanilla extract. Serve, Share and enjoy the wonderful benefits of CBD with a delicious gooey cookie. How could you say no?